Its origin was a small hermitian augustine monastery, with an unclear chronology, given that the only specific date is that of 1701 that shows up written in a funerary tombstone. However, its architecture characteristics with romanesque features, identify it as a construction from the 12th or 13th centuries, for instance, through the vegetable carvings and the triumphal arch capitals. The set of buildings that integrate the Iglesia de Santa Cristina de Serzedelo is one of the most interesting religious centers from the late medieval in Entre-Douro-e-Minho. Through the centuries, in this place, a romanesque church, an already gothic narthex, a bell tower wall also from the 13th century and a funerary chapel (that now serves as sacristy), dated from the late medieval were built. It is one of the rare examples that still preserves an intact exonarthex, a structure external to the church, whose initial function would have been funerary. 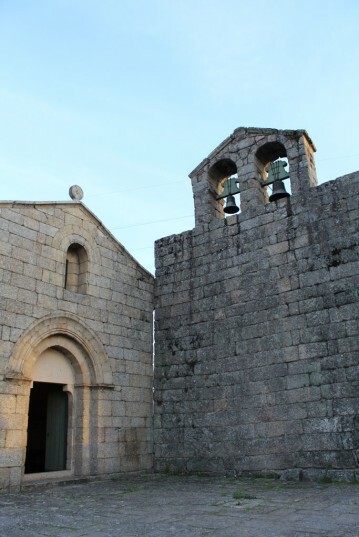 The presence of “galileas” or funerary chapels shaped as naves and located in the occidental entrance of the church is one of the characteristics of the romanesque in the area of Guimarães. Built soon after the church was finished, it prevents part of the lighting to the west wall. It has a door to the west and the one to the south is from the same production as the one on the church. The set was restored in the decade of the fifties of the 20th century and in 1978 by the Dirección General de los Edificios y Monumentos. The church has a single rectangular nave, with a flat guide base and ceiling, both with wooden gable roof. The wing’s corbels are solely for decoration. At they end, in communication through a large doorway with three simple archivolts, is the narthex and to the south of the presbytery and in communication with it, the gothic chapel. The apse is narrower and lower than the nave, which allows for the opening of small veins in the nave´s hastial, in the chancel and in the northern wall. It is peculiar because of its position, the presence of a bell tower, in reality thick, and a wide bell tower wall, which gives a peculiar image to this Serzedelo church. On the inside, mural painting from the 16th century with representations of saints, from which that of the Annunciation in the main chapel stands out, are also visible. 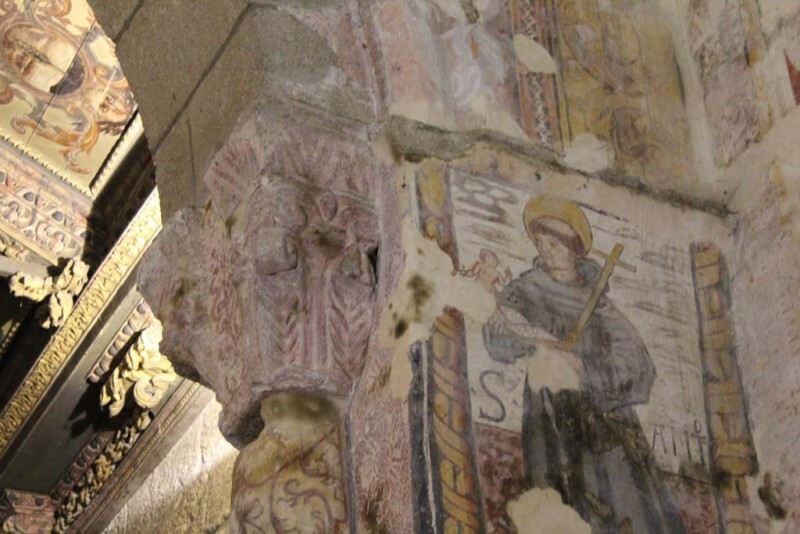 These paintings have a relationship with some more recent examples in the Zamora area of Sayago. The windows show intense light passage to the interior. Besides the narthex door in slightly pointed arch, the main entrance is the one on the south wall, with a round arch and a tympanum with an oculus with a cross (said to be templar), supported by straight notches. 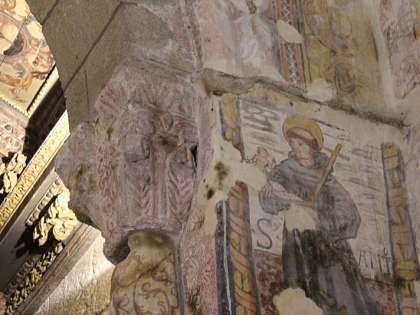 The church presents damage to the ceiling, with visible humidity that affects the interior mural paintings despite the previous restorations, there are broken roof tiles, tombs with no maintenance and overall abandonment and neglect aspect in its surroundings. 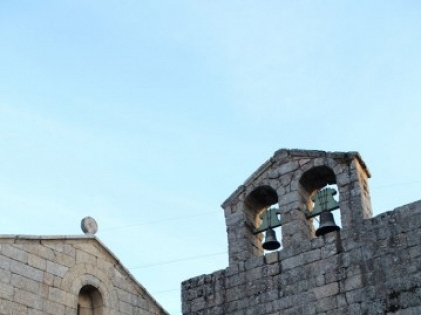 The Câmara de Guimarães has promoted the requests and the process of demand of the restoration. Interventions will be carried out on the ceilings, nave, exonarthex and bell tower. A revision of the roofs and substitution of deteriorated elements, treatment of the ledges and union of the facing walls with the ceilings will the done. Also, there will be a treatment of the carpentries and wooden works in general, with the replacement of the necessary elements. The stone will be cleaned and a water repellent will be applied, the cracks will the filled with hydraulic lime mortars and stone dust. The crust and biological colonization in the exterior will be removed and a water repellent will be applied.